This month celebrates 25 years of NAMS – The North American Menopause Society. To celebrate, they have published a ‘Special Feature’ in the The Journal of The North American Menopause Society, which could help change the way that physicians and health care professionals treat menopause, for the better. The North American Menopause Society (NAMS), one of the largest internationally recognized professional communities addressing health issues during Menopause, has published a comprehensive study on Menopause and it’s symptoms, officially stating that menopause is a physiological health issue, and detailing all the areas where menopause can affect the average menopausal female. This is fantastic news for menopausal women everywhere and a great step forward in finding specific and effective ways to treat the changes that Menopause brings. The paper is based on an earlier book published by NAMS in 2000, and is publicly available on the NAMS website for all to read. Just some of the changes talked about in the study include: skin care, hair care, mood swings, increased risk of osteoporosis, and sleep disturbance – just to name a few! The paper, which has been published in The Journal of The North American Menopause Society, will now be used as an official guide for medical and healthcare professionals everywhere for clinical recommendations to the care of their menopausal patients – a huge break through for Menopause and women everywhere. The paper was published to celebrate 25th anniversary of the North American Menopause Society (NAMS) and we expect to see great things from the healthcare and medical community following the publication of this insightful feature. For more information on how to address skin concerns during menopause, visit www.stratumc.com, where you will find advice and detailed information on the effects menopause can have on the skin, in additional to helpful tips on healthy nutrition through menopause. Plus, Stratum C products provide innovative skin care to improve skin health and give your skin a boost, when you need it most. Should we be worried about chemical endocrine disruptors being used in our cosmetics? Ingredients such as DEHP (diethylhexyl phthalate), are banned from use in Cosmetics in the UK and the rest of the EU. A recent study from Washington University School of Medicine found a link between a group of chemical ingredients and early menopause – which are sometimes known as endocrine disruptors. These chemicals can be found in some household products, but these are more likely to be strong cleaning products, than the type you lather onto your skin. A senior author from the study, Amber Cooper, MD, an assistant professor of obstetrics and gynaecology, said, “This study doesn’t prove causation, but the associations raise a red flag and support the need for further research.” 15 of the 111 chemicals tested, showed the need for further investigation. The findings do however, bring to light the concerns over cosmetic production and show that consumers should be made more aware of the implications of their purchase. We have put together some tips to help make sure you can reduce the contact you have with harmful chemicals and make smart choices about your cosmetic products. 2. Be careful where and who you buy your products from. Make sure that the company you buy from have recommendations and good reviews in the media, or from secondary retailers or consumers. Buy your cosmetics from reliable sources and if you are unsure about a product or company, look them up online. If you choose to buy products outside of the EU, check the ingredients list before you buy. 3. When you are using household products – make sure you wear gloves to minimise the direct contact with chemicals on the skin as these can be absorbed and cause possible health issues. Always follow the safety and storage advice on the container. 4. Recycle, but do not re-use. Some types of plastic container can contain chemicals which filter into your food and drink when left under heated conditions. Avoid re-heating food in plastic containers, and do not re-use drink’s bottles that have been exposed to heat. 5. Do not put plastic in your mouth. Some types of plastic until recently, were still used in the making of children’s toys, for example, and some of us may take to chewing on accessories like bits of stationery, where we can absorb the nasty chemicals. 6. Know your chemicals. By educating yourself on what’s good or bad for your body, you can avoid any nasty trips to the doctor. For example, not all phthalates are harmful and whilst some phthalates may be found in lipstick, they will not be the harmful type that may also be found in toilet cleaner. Not all man-made chemicals are bad for you, but there may still be some that you would rather avoid. All ingredients in Stratum C Menopause Skin Care products are available on the website. Visit http://www.stratumc.com or feel free to contact Forme Laboratories for any more information regarding the products and ingredients. All Stratum C products are phthalate, paraben, DHA, BHA, BHT, formaldehyde and MI free and use only the gentlest of preservatives. Hyaluronic Acid: What is it? How can it help during menopause? Smoking causes early menopause… another reason to quit! Smoking causes risks to your health. It is written on the packets and the countless advertising we are bombarded with, encouraging us to lead a healthier lifestyle. This is because smoking is scientifically proven to be bad for our body’s. Not to mention the affect it has on your skin. 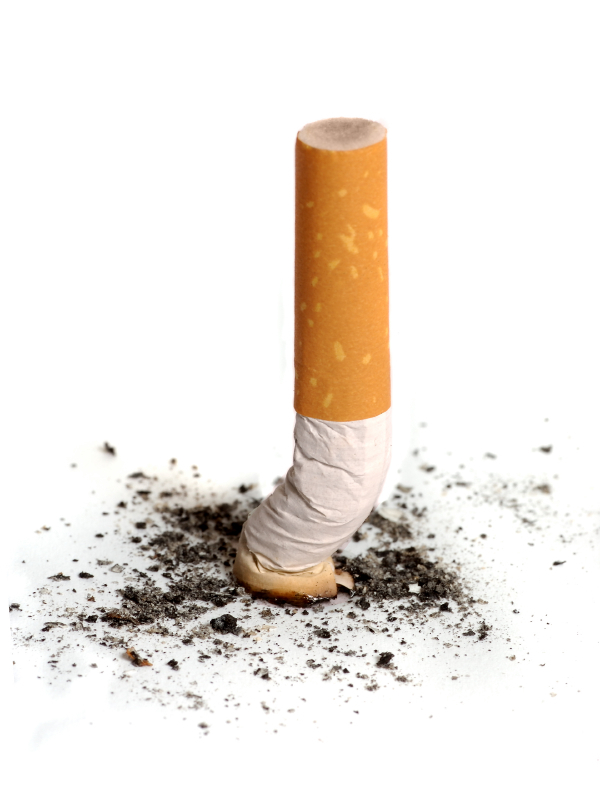 It is commonly known that smoking can make the appearance of ageing more prominent at a younger age. Smoking is also a well-documented cause of many different types of disease such as cancer, heart disease and health issues such as infertility. We all know that smoking is bad for us. But what you may not know is that another side affect of smoking has recently been assessed, it can induce early menopause. Scientists used to think that it could cause accelerated menopause by up to 1-2 years, but a new study has found that smoking can cause menopause as early as 9 years before you would naturally be expected to hit it. This study has not been taken lightly. The researchers spent 14 years following over 400 women between the ages of 35 to 47. The women that carried the specific gene and were not smokers, entered menopause significantly later than women who do smoke. And so if the threat of cancer, heart attacks and dreaded wrinkles was not enough for you, then maybe the thought of possible early menopause might tip you over the edge and encourage you to throw your pack of 20 in the bin and start living a healthier lifestyle. There are many ways to give up smoking, some of which can be bought on the high street and some of which can be prescribed by your doctor. But any attempt to quit is a step in the right direction, no matter how you choose to go about it. There has recently been a lot in the media about the results of using harmful ingredients in skin care and cosmetic products, due to the adverse effects they can have on your health. EU regulations now do not permit the use of some substances such as methylisothiazolinone (MI), which was in the news back in September following an ‘epidemic’ of allergic reactions as a result of being used in many women’s skin care products. A recent article by American industry professional Judith Lennox, who has 40 years experience working in aesthetics, has told of the questions she often gets asked by her clients about the types of ingredients to avoid. She goes into detail about the companies that she believes are now abiding by the EU regulations and which are not, and is very knowledgable about the effects that these different ingredients can have, such as the use of parabens, dioxane and formaldehyde which actually lock in toxins in the skin in their attempt to lock in moisture, which can actually cause the skin to become unhealthy or age more easily. She then discusses the use of collagen. This is obviously a subject that our team here at Stratum C know a lot about, and we can confirm that what Judith says about topical collagen creams is true. When you apply creams to your skin that contain actual collagen, it creates a layer of film that suffocates the skin, as collagen is a “fibrous protein that is too large to penetrate the skin”. 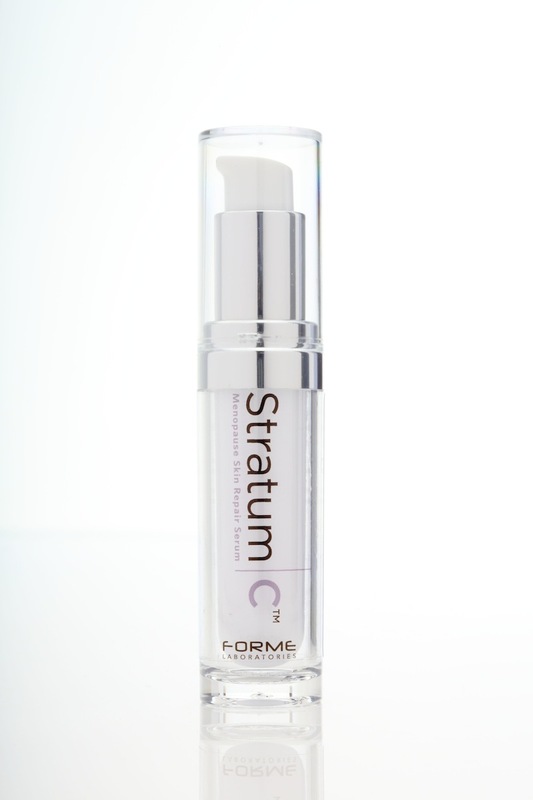 This is where creams such as Stratum C are much better for your skin, as Stratum C helps your skin to generate it’s own collagen naturally, and does not include collagen itself. This is caused by applying our unique combination of peptides, which are made up of naturally occurring amino-acids, which are present in the body until you reach a certain age. Usually as you get older, your body’s production of collagen and amino acids declines, often due to a change in hormones. Hyaluronic acid is also naturally occurring in the body, and is also present in Stratum C in large quantities, which helps to lock in moisture instead of creating a barrier on your skin’s surface. Therefore, you should watch out for these harmful ingredients and avoid using topical creams that actually contain collagen as they may do more damage than good. We are pleased that professionals like Judith are able to share their knowledge with the millions of women that buy skin care products, as many are not aware of the effects that using these ingredients can have on your skin and on the rest of your body in fact. Aluminium is often used in anti-perspirants and has been linked to Alzheimer’s disease, whilst parabens have links to several different types of cancer. You should always do your research before you start to use a new brand or decide to change your skin care regime. Next time you go shopping for cosmetics, make sure you read the label and if you have skin care concerns, ask a health professional for advice. Choosing your products carefully could save you money and often, spending a little more on good skin care products can be more of an investment and sometimes save you money in the long run, not to mention that this means you will be using the highest quality ingredients that your skin deserves. 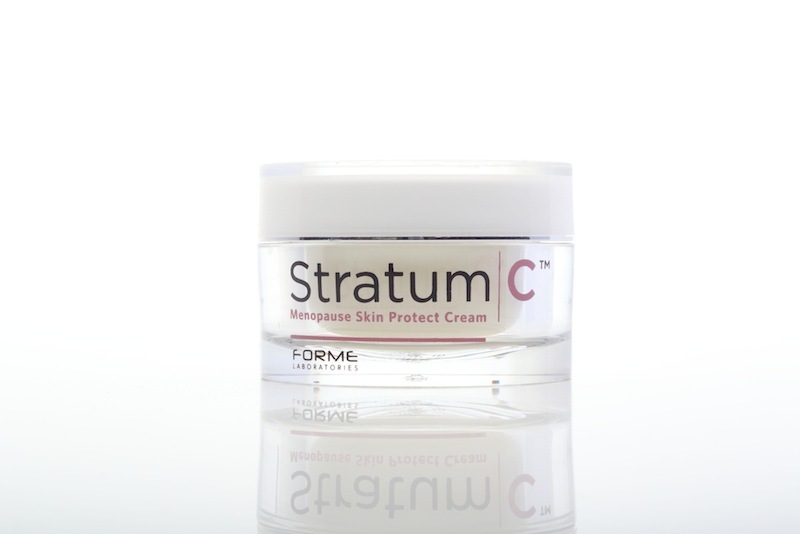 To find out more about Stratum C products, please visit our website, http://www.stratumc.com. Doctors in Japan and the US have made a breakthrough discovery that it is possible to conceive AFTER menopause. One baby has been born using this procedure and another is said to be on its way. The doctors have made it possible for women to have children, after they have already experienced a natural menopause. The procedure is said to be “a technique to ‘reawaken’ the ovaries” in women who have experience early menopause due to having insufficient ovary functionality or “running out of eggs”. This fascinating new technology could be a “game-changer” in the future of medical innovations and has the potential to bring motherhood to hundreds of women who have been unable to have children previously. If you have had trouble conceiving or have experienced an early menopause, you can find help and support by visiting the NHS website and also The Daisy Network for people to contact and useful information.